The doctor is in, constant reader and he’s ready to hear your myriad of problems dating back to childhood. 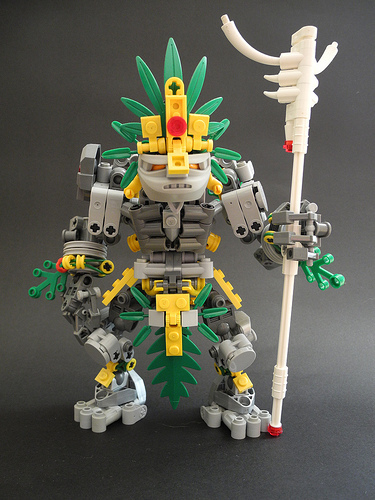 Hankyung Ryu (uhank) is the responsible party for this out of left field Bionicle creation which he calls Witchdocter-bot. The righteous headgear drew me in, but I stayed for the fine details like the ribcage and fancy accessories. Since sharing is caring and the Bionicle Tribe is notorious for their strong bonds of friendship and consumption of Mountain Dew, I’m going to sneak in one more non-System model. The builder is Belarus native Vlad Lisin ([Rhymes_Shelter]), whose work has graced the pages of TBB in the past. 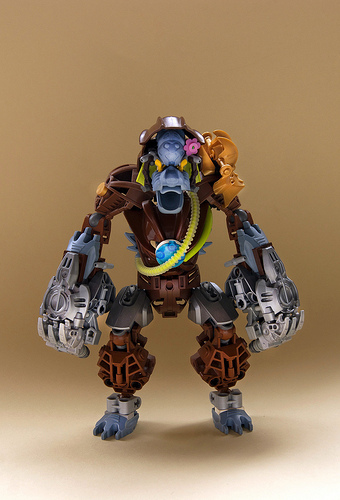 Enjoy G’Loona, part of your Sunday serving of Bionicle…which is totally not dead.